Question: Who Started the “Cold War”? Answer: Winston Churchill & Harry Truman! Just weeks after the Second World War was over and Nazi Germany defeated, Soviet Russia’s allies, the United States and Great Britain hastened to develop military plans aimed at dismantling the USSR and wiping out its cities with a massive nuclear strike. The names given to these plans graphically portray their offensive purpose: Bushwhacker, Broiler, Sizzle, Shakedown, Offtackle, Dropshot, Trojan, Pincher, and Frolic. The US military knew the offensive nature of the job President Truman had ordered them to prepare for and had named their war plans accordingly,” remarked American scholar J.W. Smith (“The World’s Wasted Wealth 2″). In September 1948 US president Truman approved a National Security Council paper (NSC 30) on “Policy on Atomic Warfare,” which stated that the United States must be ready to “utilize promptly and effectively all appropriate means available, including atomic weapons, in the interest of national security and must therefore plan accordingly. The dangerous competition instigated by the US prompted the Soviet Russia to beef up its nuclear capabilities and dragged both countries into the vicious circle of the nuclear arms race. Unfortunately, it seems that the lessons of the past have not been learnt by the West and the question of the “nuclearization” of Europe is being raised again. Weapons must not be wasted, right? That seems to be the bankers motto. Yes! This is the curse that “standing armies” brought down on humanity and the planet. But this, I believe, also goes deeper than just weapons needing to be used. There is something culturally at work here as well, and it deals with all the inbreeding of the European royals, which has been going on for decades. 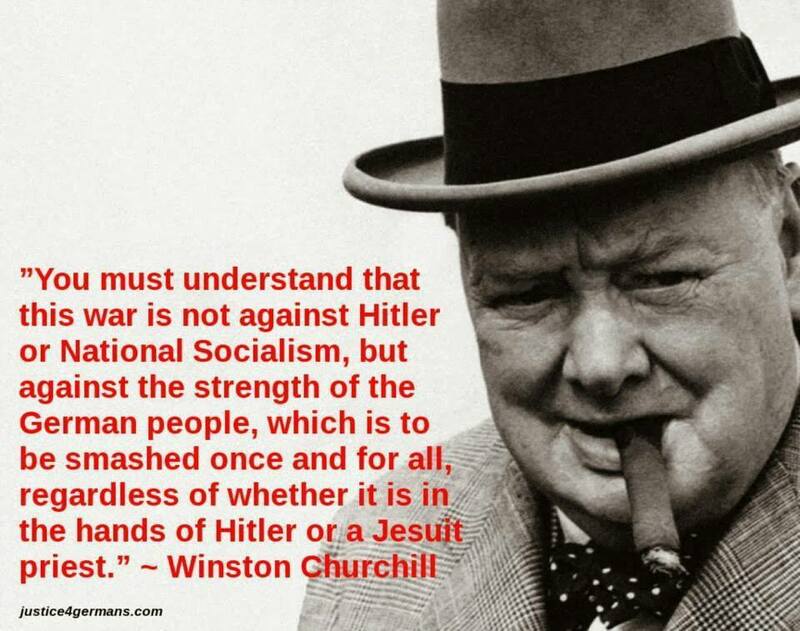 For instance, why would Churchill want to destroy the German people, when the British royalty are of German decent? I don’t understand it, but there is some inbred insanity going on here, and it has been going on for a very long time. Inbred insanity explains it well. And it seems the US and UK are one and the same – as in what divides them but a name.